UV Gel Nails are the perfect solution for breaking nails! This artificial nail adds an extension to each fingernail making them all the same length. A strong gel is applied to prevent breakage and give your nail a smooth texture. Our clear gel can give your nail a natural look or paint them the color of your choice from our selection of shellac colors – no extra charge. 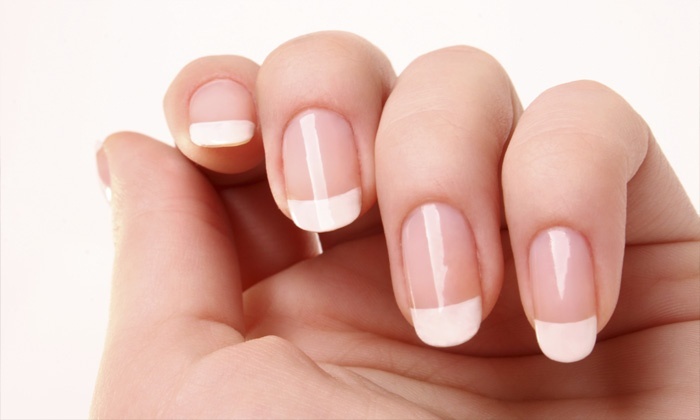 Of course you can always opt for French style nails as well. When your nails are all done up and you’re feeling fine at the front desk… be sure to ask our lovely reception girls for a quick product tour. We can show you the best exclusive products we have available for you and help you figure out which ones are best for you and your goals.